Optics is the science of seeing. 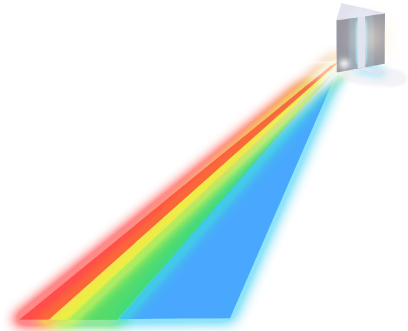 More specifically, optics is a branch of physics that deals specifically with light and vision. We experience the joy of our own optics every day, but how can we see through the eyes of another? What does their world look like? How do our brains know to turn everything right side up? 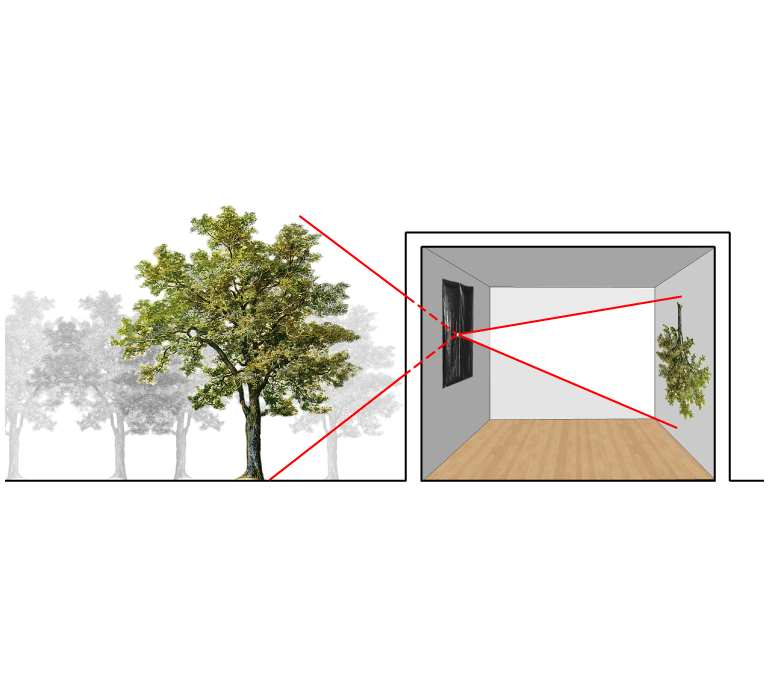 Let’s take a look at how our eyes work by turning a room into a camera obscura. Cover a window with garbage bags. Tape the edges. Next, cut a 3”x3” square in the middle of the garbage bag (make sure that the opening isn’t obstructed). Cut separate 4”x 4” cardboard squares. In each, cut a central hole starting with a ½” hole; the second square should have a 1" square and so on in ½” increments. These are aperture squares. Cover the window opening with the first aperture square. Tape light leaks shut! Let your eyes adjust and look for an image on the opposite wall. Try different aperture squares until you find one that works for your room. Hint: Often the 2” hole will work. You have made your very own camera obscura! 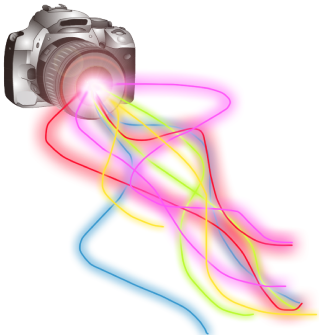 Activity 3 – take a picture! Place the camera on the tripod. Focus and set your camera to f/16 (aperture #16). Set your meter to the film speed (ISO) by pressing the “ISO” button on the meter and scrolling until they match. Now press the “mode” button until a little sun-shaped symbol appears on the top of the light meter screen. This sets your camera for ambient exposure. Put your light meter in the light of the projected image and press the button on the side. Two numbers should pop up. One is the shutter speed and the other is the aperture. By scrolling you can change the relationship between the two. Scroll until the aperture is 16. This will give you the proper exposure for f/16, at the given shutter speed and ISO. It will most likely be more than one second. Plug all of these numbers into your camera. If the exposure is more than one second, put your shutter speed setting on “B.” Put on a shutter release cable. Press the button for the time indicated on the meter. Let go. You have made your exposure! What is an aperture in a camera? What does shutter speed control? Focal point, film plane, image plane and focal plane are all parts of an image. Explore the Science of Light! Minute Physics The mOuntain or The Valley?